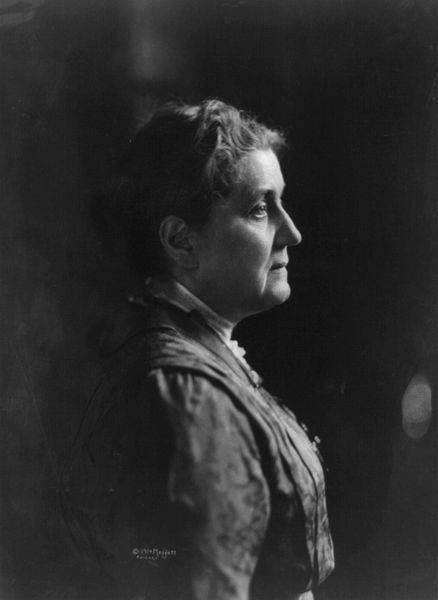 Jane Addams is widely recognized as a national leader in the settlement house movement, which began in the 1880’s. This movement demonstrated that even in the poorest communities, populated by people who lacked formal education all varieties of learning could flourish and spread. By learning to treat the residents of inner city industrialized urban ghettos as fully curious humans whose spirits needed to learn and grow no matter what conditions they had to sustain, the settlements pioneered a new understanding of democratic life. Democracy, still not realized as an equal system of participation in political institutions and decision-making, now became the hope and practice of full participation in institutions of knowledge, learning and creativity. The community, rather than being simply supplementary to schools, and other enclaves of learning, would itself become the center and heart of learning. Addams described the settlements as “…a protest against a restricted view of education (p. 428) and further as “an institution attempting to learn from life itself ”. The settlement house movement began in London in 1884 and quickly spread. Within 30 years there were over 500 such institutions worldwide. They proved their value over and over in the daily lives of poor immigrants, bringing education, nutrition, recreation, community/labor organizing, artistic and a wide variety of social activities to new hard-hit neighborhoods of modern cities. Until governments began to assume some responsibility for social conditions in the 1920’s the settlements were leaders in social and educational innovations. A key to the success of the settlement houses was their manner of work. The “settlers” were prosperous men and women who worked or volunteered in the city and lived together in a house in a run-down, working class neighborhood. The residents who settled in these houses (hence the name settlement house) provided great support to poor immigrants living in the often terrible circumstances of a newly grown urban center at the turn of the 1900’s. The settlement house residents would “constantly act between the various institutions of the city and the people for whose benefit theses institutions were erected” (p. 39). They connected immigrant neighbors to services, people, information and resources. The settlement house residents were capable of making these connections because they were constantly present in the area, continually walking about interacting with various people, organizations and institutions. Addams felt this connecting should be of value not only to the recipient “but to the institutions themselves” who are always in danger of getting caught up in bureaucratic rule following and forgetting “the mystery and complexity” of life. In other words, the connecting work did not only benefit the people living in the neighborhoods. This process also allowed organizations to remain aware of and responsive to the personal needs and realities of the people they served rather than merely providing a set of standardized, prescribed services. In over 100 years it is not clear that anyone has better understood the need for grounded local connectivity being at the heart and foundation of a life of wide success, global discovery, as well as responsive social services. Cremin, L. A. (1988). American Education: The Metropolitan Experience 1876-1980, (p. 175).